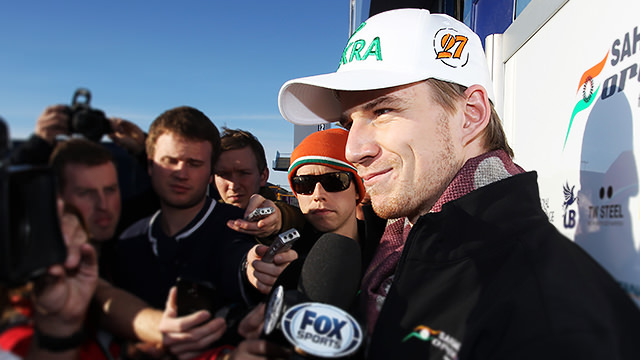 Back to basics // Did Hülkenberg make the right move? 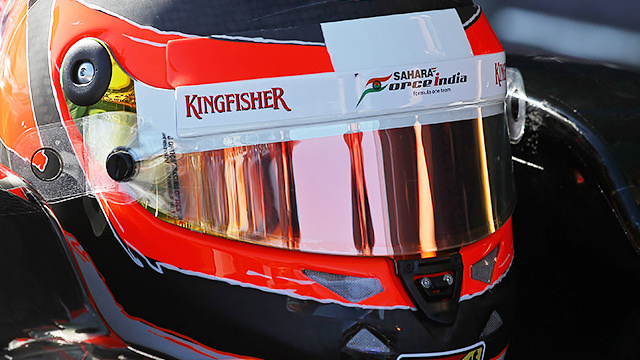 Life is good for Force India so far in 2014. The team have revealed their new car with updated livery and increased sponsorship, they have a strong driver line-up and completed a full four days of testing in Jerez. They've also got the Mercedes engine on board, that whilst not without its problems, is the strongest power unit available at the moment. For Nico Hülkenberg, the good vibes coming from the Silverstone camp must be music to his ears. Looking to move from Sauber at the end of 2013, the assumption was that the right seat to be in was the Lotus. Kimi Räikkönen was on the way out and the car was picking up podiums left, right and centre. Nico was strongly linked with a seat at the Enstone team but after negotiations went south, he ended up back at the team he quit in 2012. This week, Nico Hülkenberg was asked to comment on whether his move back to Force India was the right one, given the state that the Lotus team appear to be in at this point pre-season. It is of course too early to say for sure, and Nico concluded it was an “unclear situation” but on paper, you’d have to say that so far, it looks to be a good move. The logical view last year, the one which assumed Lotus was a missed opportunity for a rising talent, has been completely turned on its head. The team skipped the first test in Jerez, and have only introduced the car to a track in the past few days. They are running Renault engines, having previously been the French manufacturer’s works team, but their close links with France could do more harm than good. Renault have quite openly struggled during these first few weeks of pre-season activity, completing roughly 10% of the total mileage in Spain, compared to Mercedes’ massive 60%. Although no one was particularly bothered about lap times, the fastest Renault-powered time was Kamui Kobayashi’s Caterham, 11th fastest overall. Let’s not even remind ourselves how often Red Bull gave up running and called it a day at lunchtime. Hülkenberg himself didn’t do a huge amount of running, just 17 laps, but it was time in the car on track getting to know his team again. If he had joined Lotus, he’d just about be getting to that point now. A lot may change before the end of the season, but the fact is that the Enstone team are on the back foot. If the switch to Force India does turn out to be a boon to his career, it could be just the morale boost Nico needs. It would be particularly fitting, considering his 2013 season switch from Force India to Sauber was hoped to improve Nico’s chances at getting on the podium, and it had practically the opposite effect. The only thing the move did achieve was to show some of the skills that Hülkenberg has that the bigger teams are missing, particularly dragging pace out of an underachieving car, and defending positions under pressure for long periods of time. It wouldn’t be the first time that a driver has surprised the paddock and beyond with a move that turned out to be exactly right. Jenson Button’s switch to McLaren was considered ill-fated before it had even occurred, but the Brit fitted in like a glove and has since become the glue holding everything together. Equally, Lewis Hamilton’s departure to Mercedes saw enormous amounts of, mostly negative, scrutiny but history has shown the move to be more shrewd than we gave him credit for. The same could be true for Nico Hülkenberg. As the German himself said, the situation is unclear but watching it unfold in 2014 is going to be one of the stories of the season. Next post Who's the most engaging of them all?